As you enter Murzuq from the Sebha Road, as the LRDG did exactly 70 years ago, on January 11th., the ‘Fort’ is to the west of the town - A Medieval construction in pretty good condition and something of a tourist attraction. (featured in an earlier Blog) A hand painted sign proclaims ‘Fort - Murzuq’ so it would be a fair assumption that this was the fort the LRDG attacked on that victorious day in 1941. But standing there in the square it didn’t add up. It all the references I have read, nothing is mentioned of a Mosque, yet it dominates the central square. 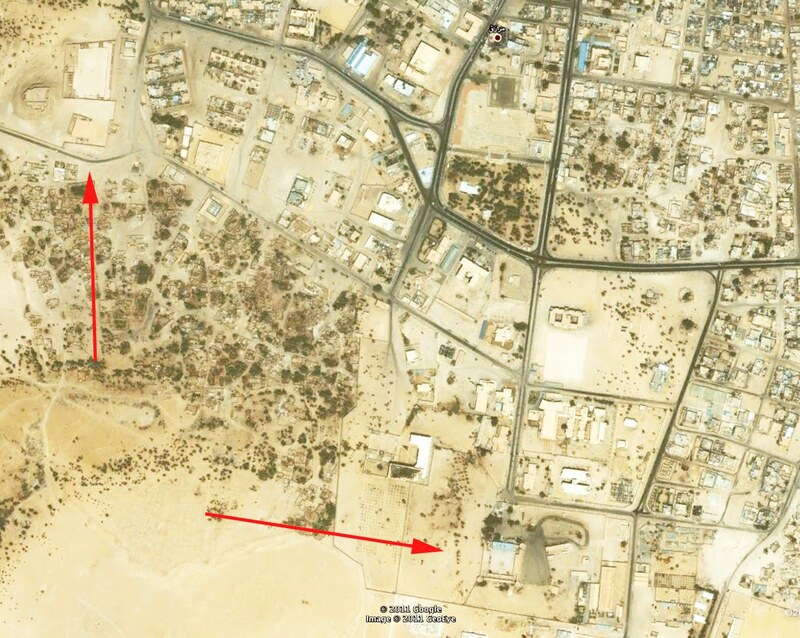 Also, in Bill Kennedy-Shaw’s book LRDG, he says the road led straight to the Fort. This road took in several turns! Within our team of Archaeologists we are lucky to have Dr. Martin Sterry. 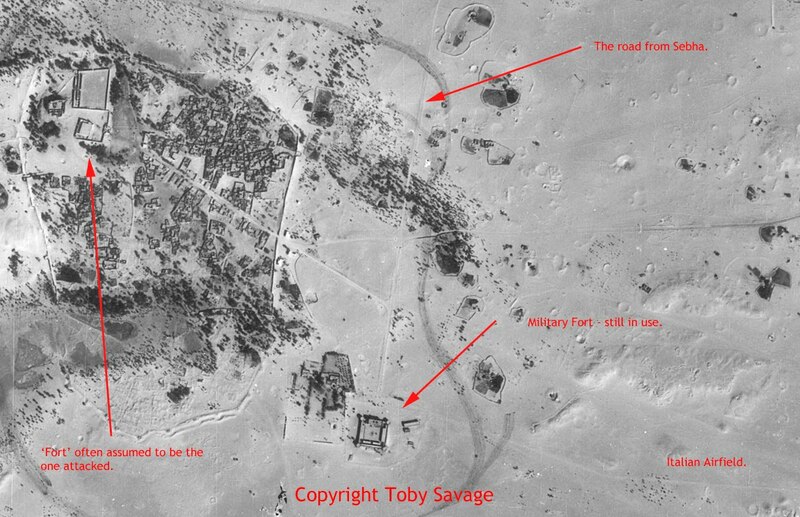 Martin’s specialist subject is the analysis of ariel photography in search of Archaeological sites and, by chance, he had a 1958 ariel photograph of Murzuq. On it can clearly be seen the old sand track into town, leading to another fort. This second fort is a more likely candidate, as it is still a military establishment today, meaning I was unable to get permission to photograph even the exterior, which may have shown a bit of original damage. 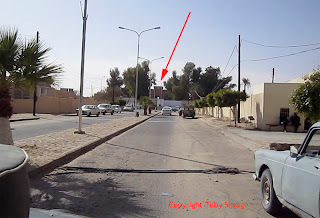 I did, however, grab a shot as we drove along the very approach road the LRDG must have driven along as they ‘managed a good shot at the tower’. 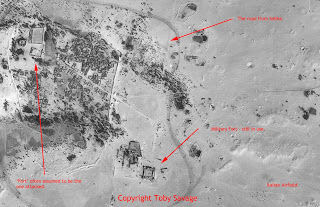 It is also far closer to the Airfield - something else mentioned in other reports. 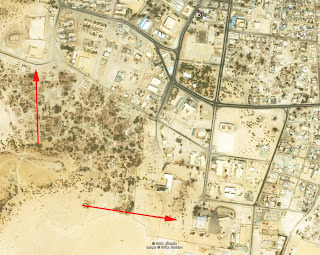 So I present to you, probably for the first time, pictures of the Fort the LRDG attacked on January 11th, 1941. Hope I don’t get a knock on the door from giving away any secrets! Is there any mileage in actually attacking the other one, some time soon? Perhaps with some former Desert Rats? It would even things up a bit so that there was no doubt which one was actually 'done'.